Women prefer white fine skin, so we apply sunscreen everyday to protect our skin from the sun's harmful, and ultraviolet rays. Sometimes, you even find women wear a long sleeve for only right arm while driving on the road, just to avoid getting sun baked skin. However, have you ever thought that your eyes need protection from the sun too? I believe many of you wear sunglasses to protect your vision from the sun's ultraviolet rays, or wear a hat to add protection for your eyes. 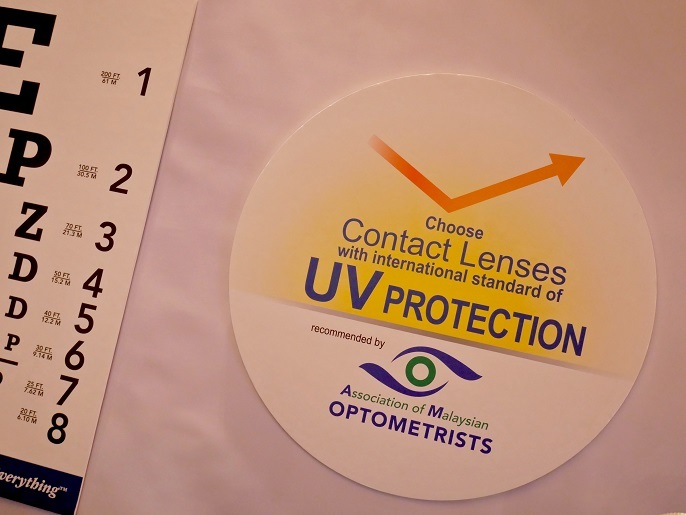 Well, do you know that you can actually wear contact lenses with UV Blockers to help to block the harmful UV rays too? 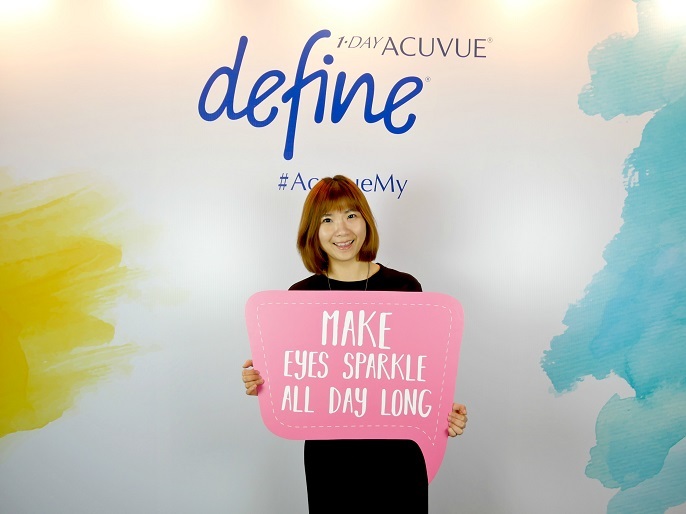 ACUVUE® has just launched it's 1-DAY ACUVUE® DEFINE® Brand Contact Lenses with LACREON® Technology to achieve both the eye health and eye beauty to all ladies. ACUVUE® DEFINE® is inspired by the Asian eyes and used a unique eye-inspired design to enlarge the natural beauty of the eyes. They accomplished by using innovative technology to enhance the size of the iris as well as its depth, dimension and definition for a natural yet safety effect. 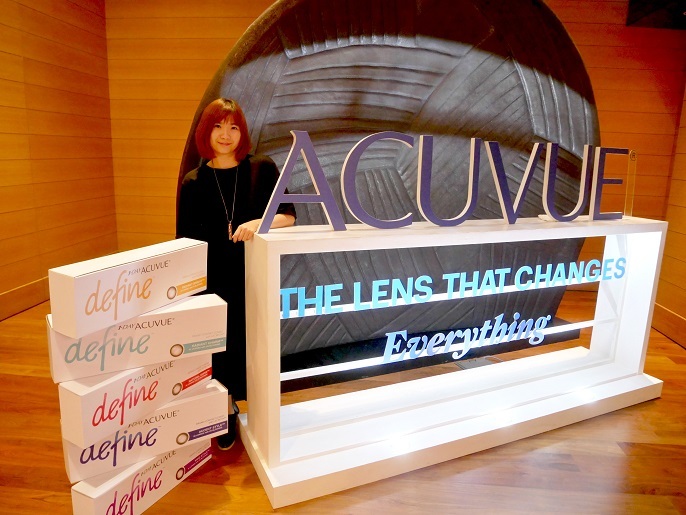 ACUVUE® DEFINE® has over 30 years experience in innovating and dedicating eye health, which lead them to design and offer contact lenses with UV protection. 1-DAY ACUVUE® DEFINE® Brand Contact Lenses is the only contact lens brand that offers internationally recognized standards of UV protection, to help preventing long-term sun damage. The UV-blocking filters embedded into ACUVUEⓇ DEFINEⓇ lens helps to protect the eyes from up to 82% of UVA and 97% of UVB rays. Besides, ACUVUEⓇ DEFINEⓇ also creates a lasting moisture cushion for 20 hours or more for long-wearing comfort wear, and also ensures colourants do not come into direct contact with the eye. In this picture, you can see left eye (with 1-Day ACUVUEⓇ DEFINEⓇ with LACREONⓇ Technology) is slightly darker than the right eye (with normal contact lens). Now you can see a big difference with and without the "sunscreen" contact lenses, right?! 1-Day ACUVUEⓇ DEFINEⓇ with LACREONⓇ Technology comes with five unique variants, and you can discover what colours and designs can fit into your styles and personalities. It's rich mocha limbal ring, with brown and amber tones, imparts a captivating look for the friendly and approachable Girl Next Door. 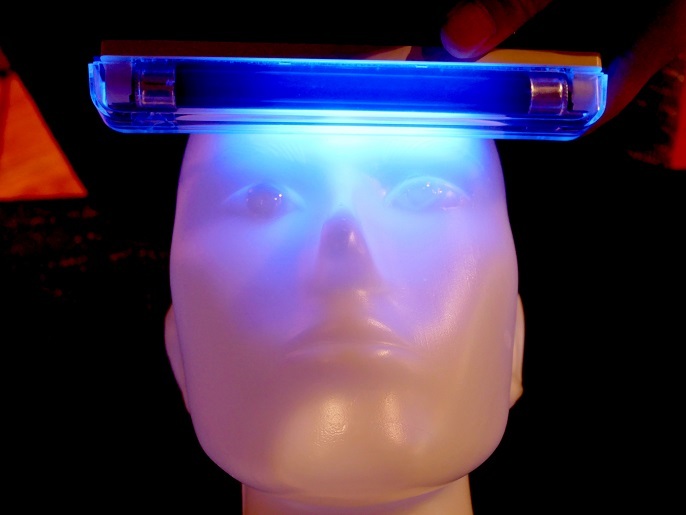 This new variant instantly lightens, contrasts and enlarges the eyes. Using a dark grey limbal ring and rich honey highlights to create a deep, enhancing gaze, this new variant also lightens, contrasts and enlarges the eyes, giving he charming intellectual and engaging and charismatic appeal. Featuring a dark grey limbal ring with glittering gold highlights, this variant provides contrats to accentuate the Fashionista's sophisticated look. Clean and elegant, this variant employs a black limbal ring that adds subtle definition for the Career First woman in search of a classic, timeless look. The brown limbal ring impacts natural warmth to the Artist's vibrant and lively personality. Here's the comparison with and without the 1-DAY ACUVUE® DEFINE® lens. It is clear enough to say that the lens makes my eyes bigger and brighter. 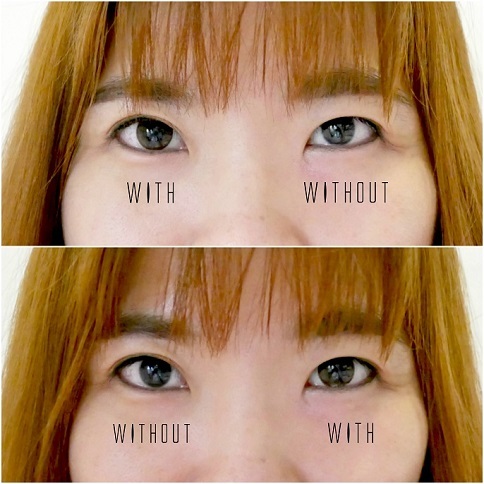 For me, I think compared to other cosmetic lenses, 1-DAY ACUVUE® DEFINE® is less obvious. If you are looking for super cute big eyes or super dolly effect, this might not the lens you are looking for because 1-DAY ACUVUE® DEFINE® is more about enhance the natural beauty and give an extra sparkle to your eyes. Anyway, the lens texture is soft and super comfortable to wear it all day long. To have a better care for our eye health, regular eye checks up is critical in order to preserve our most important asset. 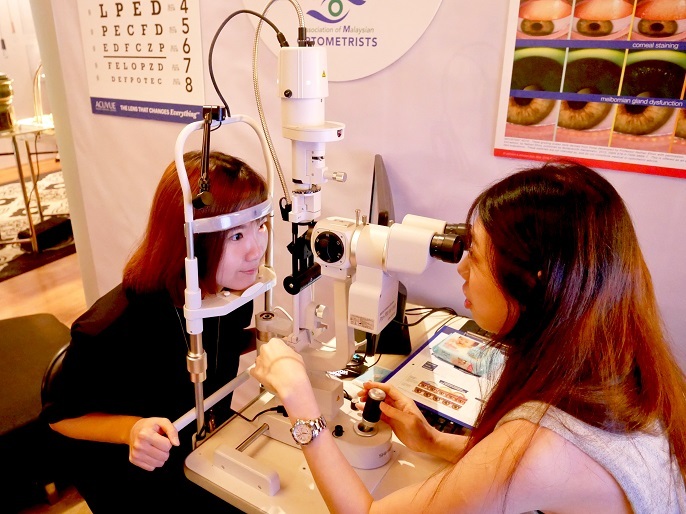 The eye examination can help detecting eye conditions early, and also help the eye care professionals to recommend suitable options and prescribe the right contact lenses for each individual’s lifestyle. 1-DAY ACUVUE® DEFINE® Brand Contact Lenses is a daily disposable contact lenses to ensure fresh, and also eliminate the risk of contamination through improper cleansing and protein build-up from prolonged use. It is available at authorized retailers @ RM172 for a single box of 30 lenses. Feel free to visit www.acuvue.com.my to check the nearest authorized ACUVUE® retailer to get a pair of ACUVUE® DEFINE® today! It is the nice collection of various design and colored contact lenses, It just change the look of us after using colored lenses. You can buy the premium quality of amazing Brown Lenses at affordable price.